Unlike a captive or direct insurance company who offers only proprietary products, Elite Insurance Solutions is a 100% independent agency. Many insurance consumers don’t fully understand just how important that really is! When it comes to something as important as personal and commercial insurance, you need an agency who has an in-depth knowledge of multiple insurance products, companies, and guidelines — not just one. 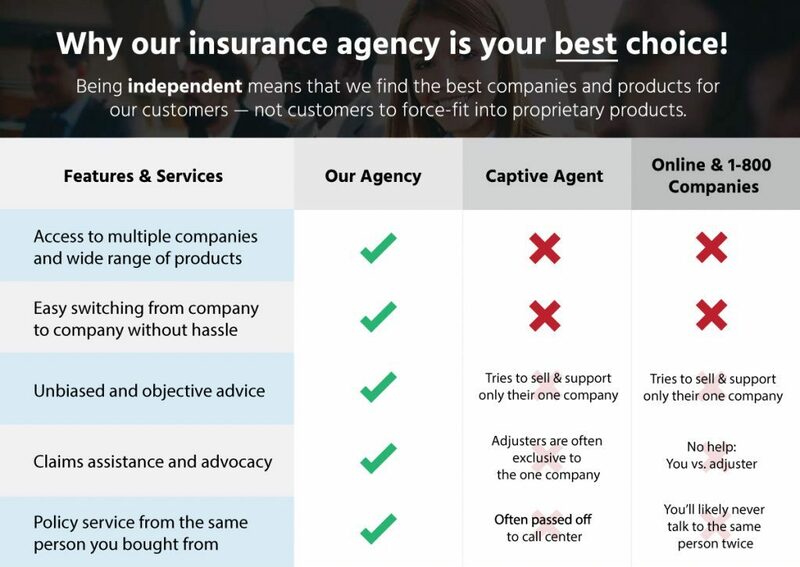 What separates one agent from another is their ability to proactively service policy holders by sharing their knowledge of the insurance industry, the various insurance products, and the different situations that are unique to their clients. Brian Carden and Elite Insurance Solutions appreciate the opportunity to assist you, and look forward to servicing your insurance needs. Contact Brian today to get started with a complimentary quote and/or policy review.